Nothing says “memorable” for your event like live musicians. Our highly skilled musicians know just the way to make your event exceptional. When you’ve got the Valenches Music Company, you’ve got the best. There’s no holding your breath about what you’ll be hearing at your event. We only play with the area’s best and most seasoned string players. 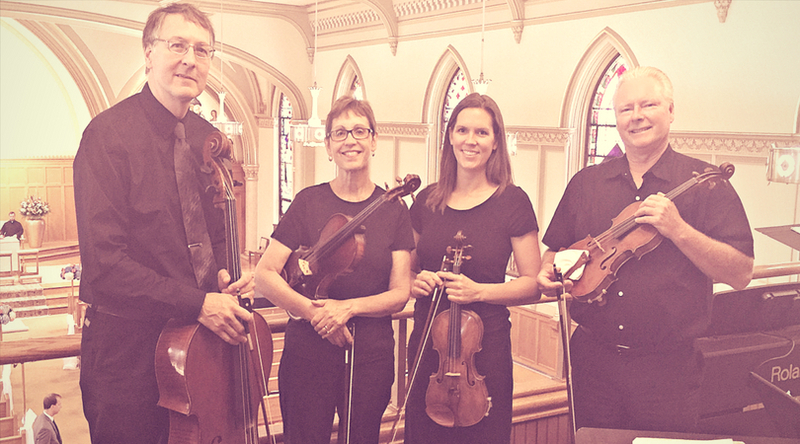 The Valenches Music Company offers a variety of performance combinations, including solo instruments (to be accompanied by piano or organ), duos, trios, quartets, quintets and more. The Valenches Music Co. 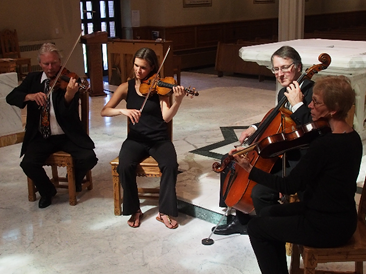 String QuartetWe have thousands of events under our belt and a healthy following of of repeat business and referrals. Our event appropriate music collection ranges from Mozart and Beethoven to opera and Joplin Rags. We can play anything and everything, provided we have music. If you’ve got something unconventional in mind, the Valenches Music Company is happy to arrange music at competitive rates as well. Is there anything else you would like to share, such as a specific music request? We’ll do your best to reply to your requests within 24 hours during regular business hours. We look forward to enriching your event with beautiful music. Thanks for your interest in the Valenches Music Company.